There is necessary and appropriate gear for trekking in the mountains. Bearing in mind that the weather and temperature in the mountains is variable and different from those at lower altitudes, you need to prepare suitable clothes, food and drinks, a backpack, rain gear, maps and so on. There are many mountains in the Ishizuchi Range that can be enjoyed on a day trip, but caution is required on any mountain. To ensure your safe return, prepare your equipment with the utmost care. 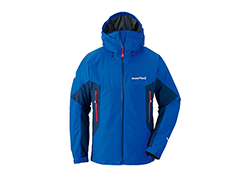 Mountain clothing is based on the principle of three layers: a base layer, a mid layer and an outer layer. The base layer is underwear, the mid layer is intermediate clothing worn above underwear, and the outer layer is outer garments. The combinations of layering are selected accordingly for spring, summer, autumn and winter. A hat should be worn all year, as hats not only protect the head from sunshine and overhead obstacles, but also offer warmth in the winter. If you’re trekking for the first time, you can use your everyday clothes bearing in mind the points above, and buy specialist gear as necessary. In spring and autumn, wear a long-sleeved base layer with medium to thick fabric. For the mid layer, fleece or wool and other heat-retaining materials are suitable. The outerwear can be substituted by a soft shell jacket with a wind and waterproofing function, or a mid layer of synthetic fiber that keeps out the cold and retains warmth. In the summer, wear a synthetic T-shirt or short-sleeved underwear with good breathability and quick-drying properties as the base layer. Wear a polyester long-sleeved shirt or cardigan as the mid layer. For protection against injury, insect bites, and UV radiation, avoid short-sleeves. Choose an outer layer that’s breathable and light and has UV protection. Generally, effective heat-retaining synthetic or woolen materials are appropriate for base layers, thick fleece or down jackets for mid layers, and water and windproof, often made of Gore-Tex, for outer layers. Don’t forget sunglasses or goggles, as the light reflecting off the snow is stronger than you think. Outer layers can be roughly divided into hard shells, soft shells, and windbreakers. Since hard shell garments have the highest wind protection and waterproof and moisture permeability performance, they can withstand use in snowy mountains in the harsh winter season and climbing on 3,000m class mountains. Soft shell garments have lower water resistance and wind protection than hard shell garments, but they still have good moisture permeability and breathability. They’re stretchy and easy to use because they cause less stress, even if you wear them for a long time. Windbreakers are lightweight, with good moisture permeability and wind resistance, but they’re not waterproof. 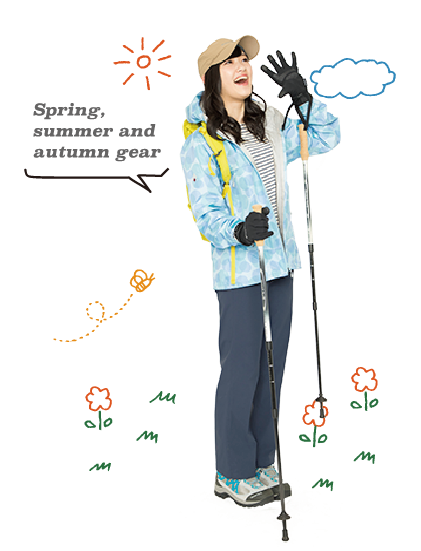 They’re suitable for spring and autumn trekking in low mountains, and summer climbing. 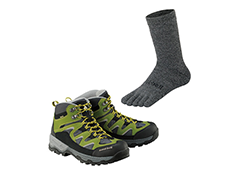 Trekking shoes are the most important item of mountain gear. They have a hard sole and provide firm ankle support. Walking on poorly maintained trails with soft-soled shoes strains the bottom of your feet, so select robust shoes. Middle cut shoes are high enough to hide the ankle. Shorter shoes are called low cut, and higher shoes are called high cut. High cut provides the firmest ankle support. Choose comfortable, well-fitting socks that prevent stuffiness and impact, and have warmth. It should be easy to bend your knees and move in them, and they should be breathable, quick-drying, durable and water-repellent. There are long trousers, shorts, and convertible trousers that can be used as both long and short trousers. Long trousers are recommended for spring, autumn and winter since they offer protection from injury, cold and UV radiation. 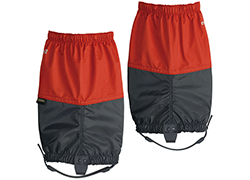 Shorts are comfortable in the summer, but wear leggings or gaiters to prevent injury and insect bites. 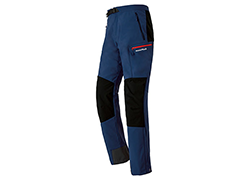 If you enjoy climbing/trekking throughout the year, it’s best to choose convertible trousers. 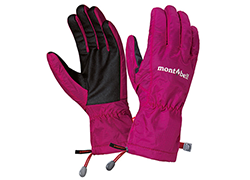 Gloves are necessary year-round for warmth, and protection against injury and sunburn. Be sure to choose a well-fitting size. If you’re likely to be gripping things, choose gloves with non-slip palms. 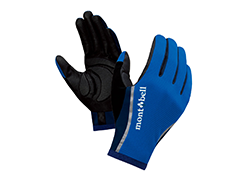 For summer, choose gloves with mesh cloth or quick-drying synthetic fiber with UV protection, and for winter, choose gloves with a waterproof outer and warm liner. 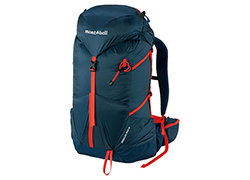 Get yourself a specialist backpack for mountaineering, designed to prevent fatigue and a sweaty back even with long use. In terms of capacity, for day trips a small 15 to 30L backpack is sufficient. For one or two nights staying at mountain huts with meals provided, you’ll need about 25 to 45L, and about 40 to 70L if you’re staying in a tent, and carrying food and cooking utensils. Since the weather in the mountains is very changeable, it can suddenly start to rain. If your clothes get wet, your body will lose heat, depriving you of your strength and even threatening your life. 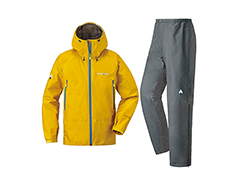 A separate waterproof jacket and trousers that are easy to take on and off, easy to move in, and allow moisture from your body to evaporate are suitable. Rainwear also offers protection against the cold. 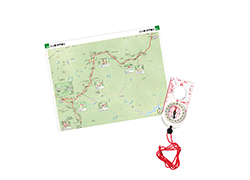 You can get mountaineering information from smartphone applications, but be sure to carry a paper mountaineering map and a compass as well. Mountaineering maps include all the information necessary for climbing/trekking, such as course times, water supplies, tent sites, mountain huts, hazards, sights, nearby public transport and so on. Take sticking plasters, poultices, Kinesio tape, gauze, bandages, disinfectant, anti-itch cream, headache medicine, antidiarrheal, analgesics and so on in a waterproof container. Other useful items are scissors for cutting tape and so on, tweezers, Ziploc plastic bags, new towels and tenugui. * A copy of your health insurance card will be useful in an emergency. Since climbing consumes a lot of energy, supplement your calorie intake from time to time. Maintain your stamina by snacking on chocolate, cookies, nuts, dried fruit and so on occasionally. Although it’s best to avoid walking after sunset if possible, your descent may be later than planned, so take emergency lights even for one-day climbs. 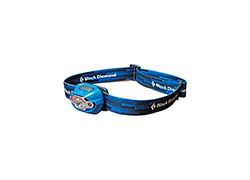 Headlamps that allow you to use both hands are convenient on a bad trail. Choose one that’s light, durable and waterproof, and don’t forget to bring spare batteries. 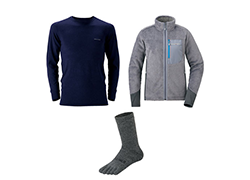 Bring a change of your base layer, mid layer and socks, even for one-day climbs. If your socks get wet due to sudden rain, or walking through bogs or mud, it can lead to unforeseen problems if you don’t change them. Towels can be used as scarves in the cold and for first-aid supplies in case of injury, as well as for wiping away sweat. Tenugui are easy to tear so they can be used instead of string in an emergency. Since packets of pocket tissues don’t hold enough paper, take the core out of a roll of toilet paper, flatten it, and put it in a plastic bag. You can use them for holding wet objects, used clothes, and garbage, and to keep your baggage from getting wet when it rains. It’s convenient to take both large 45L garbage bags and small plastic bags. Durable waterproof bags also help you to organize your stuff. Even in the mountains where radio waves don’t normally reach, you may be able to make a connection if you go to a ridge. Be sure to take your mobile phone for emergency contact. Taking a mobile battery ensures greater peace of mind. 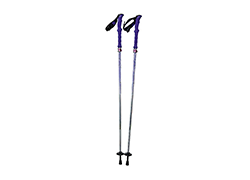 These help you to keep your balance when walking and reduce the burden on your legs. There are T-shape and I-shape handles and you can choose the type you prefer. However, a single T-shape pole will prove appropriate as a walking stick, and two I-shape poles for extra propulsion. 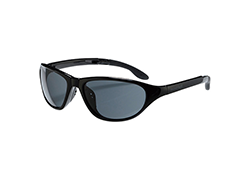 Sunglasses protect your eyes from strong sunlight as well as from tree branches. The wraparound sports type are good. Gaiters cover the ankles above your shoes, preventing pebbles, sand, rain and snow from getting in your shoes. They also keep the hem of your trousers from getting dirty and torn. Even when it’s warm at lower altitudes, it may be colder than you expect at the summit or in shadow. 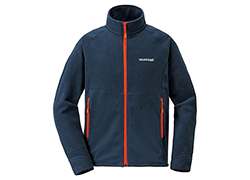 Take a thin fleece or down jacket even in the summer. 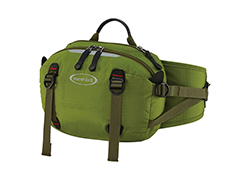 A waist pouch or shoulder bag can be convenient for sightseeing and so on if you leave your backpack in a mountain hut. Tamaya Ryokan is an inn located at the seventh station of Mount Ishizuchi, where you can enjoy spectacular natural scenery. To the south you can see the sacred mountain Mt. Ishizuchi (Reikyō Ishizuchi-zan), and to the north, the Seto Inland Sea. 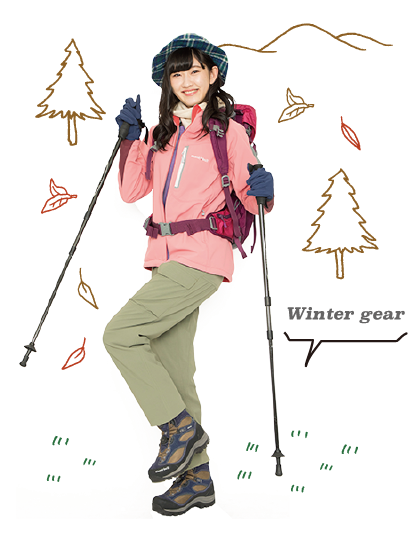 You can also reserve a mountain guide dressed as a Yamabushi. Dinner is based around wild vegetables and river fish dishes（amago (Oncorhynchus masou ishikawae)）, with hot pot in winter. Wild boar hotpot is also available with a reservation. Conch shell horns are also manufactured and sold here. The ryokan is available for families and groups. This inn is located on the Jōju hiking route up the front face of Mt. Ishizuchi. It’s within the Jōju-sha Shrine precinct, and it’s popular with mountaineers, skiers and Ishizuchi Shrine worshipers. The Kokumin Shukusha* Ishizuchi is located at an elevation of 1,500 meters, close to the starting point of the Ishizuchi Skyline and the starting point of the Tsuchigoya route for Mt. Ishizuchi climbing. It’s always busy during the mountaineering season and the “mountain opening” festivities. Boxed lunches are offered for climbers and trekkers. 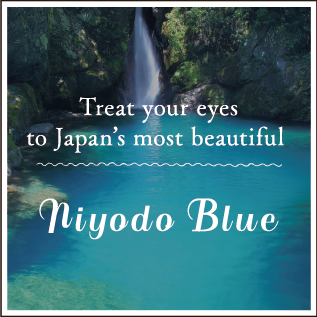 Be sure to try this inn as it has a view of western Japan’s highest peak. Kokumin Shukusha are people’s lodges maintained by the government for public use in areas of outstanding natural beauty. They’re conceived as low-cost accommodation that enable everyone to enjoy their leisure time through healthy recreation. Human beings are part of nature. When entering the mountains, it’s important to experience everything with humility. This is especially so because Mt. Ishizuchi is an object of mountain worship, and it’s a place of historical and scientific value. In order to preserve this natural beauty forever, everyone should follow the rules and etiquette to the letter, appreciate nature — this will help everyone to enjoy comfortable and safe climbing. When you encounter other climbers on the trail, it’s basic courtesy to offer a friendly greeting. Be sure to say hello (konnichi-wa!) to everyone you meet so that everybody can enjoy the climb in good spirits. When you greet someone, you look at his or her face and entire person. The memory of people you’ve passed on the mountain can be valuable information when somebody gets lost or involved in an accident, so you can think of it as a safety measure too. On trails, those going up have priority. The reason is that because of the physical exertion of those ascending, it’s easier for people going down to notice people coming up and find a suitable passing place. If you’re going down, find a suitable place in plenty of time and indicate your intention to give way by calling out “Hai, dōzo”. When you overtake someone from behind on the trail, let them know you’re there quickly. The person being overtaken should get out of the way by hugging the mountain, or moving to a safe place that’s unlikely to cause falling rocks. The overtaking party should pass without running. The trails on the Ishizuchi Range are mostly narrow. When climbing in a large group, don’t forget to consider other climbers. Blocking the trail when you take a break, talking loudly, or running in a group should be avoided as it inconveniences other mountaineers. To prevent erosion, to protect plants, and to avoid getting lost, don’t veer from the trails. Once natural terrain has been trampled, it’s difficult to restore the lost nature. The rule is to use rubber caps on the tips of your trekking poles and to keep your poles within the boundaries of the trail. It’s important to bring items that will produce as little garbage as possible. As a matter of course, please take your own garbage home and pick up any garbage you find on the trail. Small items of garbage that you put in your pocket may fall out without you noticing, so bring a garbage bag to put them in. Don’t harm or collect plants and animals. Collecting even small quantities of rocks and minerals is in principle prohibited by ordinance. The Mt. 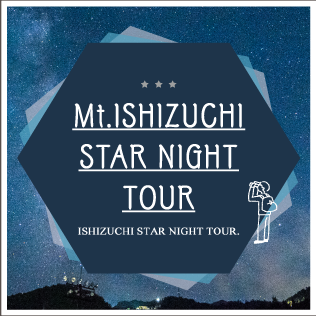 Ishizuchi area is a designated Quasi-National Park, Wildlife Protection Area, and Forest Ecosystem Protection Area, so the nature and landscape are strictly protected. There are not enough toilet facilities on the trail. Human excrement may also have an impact on the ecosystem, so be sure to go to the toilet before setting off. There are various types of toilets on the mountain. Read the instructions carefully, and observe the rules. A donation or fee may be charged, so don’t forget to bring some small change. Bring a portable toilet in case of emergency. If you use it, take all the toilet paper home with you as well. Climbing mountains is at your own risk. It’s necessary to ensure your own safety with a reasonable plan and sufficient preparation. Allow plenty of time, and if the weather changes suddenly, make decisions calmly, including the decision to head back down. Check for dangerous places and trail closures in advance, be sure to carry a map, and monitor your current location as you go. It’s also important to inform your acquaintances of your climbing plan and submit hiking registration. 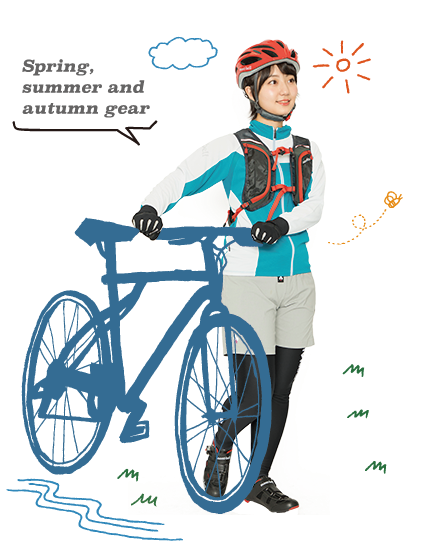 In Japan, “cycling” refers to riding a bicycle for recreation or sport. Sports bicycles are typically used for cycling. Each type has its own special feature, so choose a bike that suits you. To enjoy cycling in safety and comfort, it’s important to have the proper gear. Sports bikes are divided into three main types, road bikes, mountain bikes, and cross bikes, and each has different characteristics. The location and the way you want to enjoy riding determine the kind of bike suitable for you. 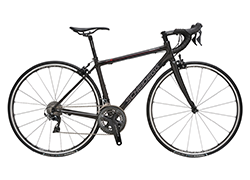 Road bikes are made to be fast and comfortable for long distances on paved roads. They’re said to be the fastest human-powered vehicles. 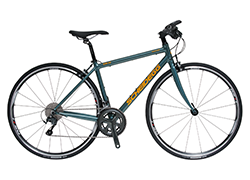 They’re designed for speed, with a lightweight frame, narrow tires for low rolling resistance, and the lowest wind resistance with drop handlebars for a forward-tilted posture. However, the narrow tires are a disadvantage for bumps. 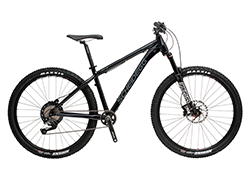 Mountain bikes are designed for rough terrain such as mountains and unpaved roads. Their attraction is that they’re robust and durable, with wide tires that withstand shock such as bumps, and suspension to absorb impact, so you can ride on rough and bumpy roads without worrying. Their disadvantages are that they feel cumbersome when peddling off, as they’re heavy and slower than road bikes or cross bikes. Cross bikes offer a performance between that of a road bike and that of a mountain bike. They’re popular for riding in town and commuting, and as the first bicycle for beginners. They feel lighter to ride than mountain bikes and heavier than road bikes. They meet the requirement for enjoying cycling as the mood takes you, rendering your quotidian movement smooth, and they are appropriate for attempts at long rides. Quick-drying clothes that enable smooth leg movement and present low wind resistance are suitable. Choose clothing that allows you to regulate your body temperature in the morning and evening and in spring and autumn when the temperature difference during the day is significant. Have a windbreaker for the cold. In summer, wear quick-drying clothing with UV protection. If you consider wearing thick clothes against the cold, for the simple reason that it’s cold in winter, you’ll get sweaty, which will actually make you cold, so wear quick-drying inner wear and windproof outer wear. A helmet, eyewear, gloves and so on are also indispensable items. 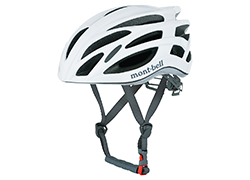 A helmet is absolutely necessary for enjoying cycling safely. Bikes go fast, and the injuries you’d sustain were you unfortunate enough to fall off your bike are more severe than you imagine. Also, cycle alongside cars on public roads; however, even if you obey the traffic rules, you may be involved in an accident. Always wear a helmet to protect yourself. Since you cut through the air on a sports bike, your exposed eyes will dry out, causing tears. 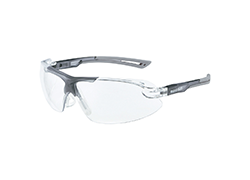 Dust, sand, insects and little stones may also get in your eyes, causing a dangerous situation. Also, long exposure to UV rays can cause fatigue, as well as eye diseases. 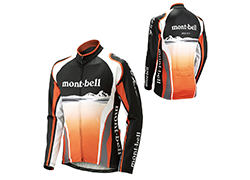 Cycling jerseys are dedicated cycling wear that are designed for the overall comfort of sports cyclists. They use material that absorbs sweat quickly and dries. 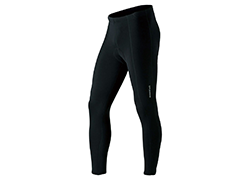 They are also tight-fitting, preventing the body from getting cold, to enable comfortable riding. Anyone sitting on a hard saddle and pedaling for a long time will experience pain in the crotch. To reduce this pain, it’s recommended to wear cycle pants with a thick pad in the crotch. This is essential, especially if you’re cycling long distances or for a long time. When we fall, we reflexively put our hands out to protect ourselves, but our hands are easily injured. If you injure your hands, it will be difficult to operate the handlebar and brakes properly. The purpose of cycling gloves is to prevent injuries when falling, to prevent your hands from slipping off the handlebars with sweat, to absorb vibration transmitted to the hands, and to reduce pain and fatigue, so they’re necessary for safe cycling. 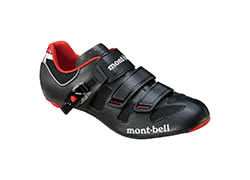 By fixing your feet to the pedals with cleat shoes and pedals, you can transmit power to the pedals both when pushing down and lifting up your legs, allowing efficient pedaling. They’re particularly recommended for courses that use physical strength such as long rides and hill climbs. However, although they’re convenient, they can be difficult to get into and out of, leading to falls. Beginners should practice on roads with few cars and pedestrians, and fully understand the dangers before using them. If you enjoy cycling, make sure that you can repair punctures yourself. You’re good to go if you have at least a portable pump, tire levers and an inner tube. Although repairing a puncture may seem difficult, it’s surprisingly simple. Get a bicycle shop to show you how to do it. A multitool is useful for raising and lowering the saddle, adjusting the angle of the handlebars, adjusting the derailleur, and fixing problems along the way. Various manufacturers offer folding multitools for bicycles with the tools necessary for bicycle repair, such as Allen keys (hex wrenches), torque wrenches, box spanners, screwdrivers, knives and so on. Lights are necessary to illuminate the way ahead and make others aware of your presence. Since cycling without a light after sunset is a violation of road traffic laws, always use a front light and a reflector or a red tail light behind. Lights can be selected according to their range, fixture, ease of attachment and removal and so on. The standards for the color and brightness of the lights are different for each local government, but you should generally choose unblinking front and rear lights. Bicycles go faster than you think, so falls or spills may cause serious injury, and you may also get caught up in an accident. It may take some time before help arrives, so carry a first aid kit that includes at least water (for washing wounds), plasters, sterilization pads, surgical tape, gauze, tissues and so on to perform basic emergency measures. Items necessary for long rides such as a wallet, mobile phone, camera, water, snacks, and a puncture repair kit should be carried in a hip bag or backpack. With sports bikes that you ride in a forward leaning posture, we recommend attaching a front bag or trunk bag and putting heavy baggage on the bike itself as much as possible, so as not to strain your waist and shoulders. Cycling makes you sweat a lot, so rehydration is essential. Normal plastic bottles are fine, but a cycling bottle that you can drink while riding without opening the cap is recommended. Choose the size of the bottle according to its use, the temperature, the distance of the ride and so on. It’s convenient to attach a bottle cage to your bike frame. Don’t forget a towel to wipe off sweat. If you don’t wipe off perspiration and your body gets cold, it takes a lot of energy to raise your body temperature and also makes you smell bad. Antimicrobial and germicidal wet tissues not only keep your body clean, they’re also useful if your hands get dirty due to urgent maintenance and so on. Always take rainwear for long rides and touring. If it’s a stopgap measure, even a cheap plastic coat will do. But when choosing rainwear for fast bicycles, base your selection on waterproof breathable materials, ventilation, and sealed seams. 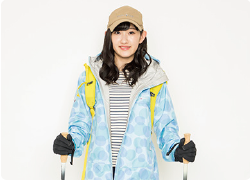 The performance of rainwear will be degraded if you neglect to maintain it. Wash it thoroughly after use, dry it in the shade, and apply waterproof spray. Depending on the route, you may find that there are places where you have to disassemble your bike, put it in a special bag and take public transport, or you may not be able to cycle due to one problem or another. Some bike travel bags are relatively small and can fit in a bottle cage. Cycle computers are electronic devices for bicycles that record various data such as mileage, total distance, cycling time, cadence, heart rate, and calorie consumption. Some types also perform route searches and provide information on routes. Cycling consumes more energy than you think. If you cycle without eating anything, you may get cramps in your legs, you may get dizzy, or in the worst-case scenario, you might experience hunger knock and become unable to move. 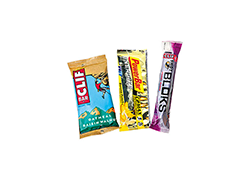 Carry snacks that are absorbed quickly and turn into energy easily, such as energy gels or bars, bananas and azuki jelly. In summer when you sweat a lot, you should be careful because your body consumes water and salt at the same time. For sports bikes, long cable locks that pass through the front and rear wheels and outer objects are popular, but there are also chain locks, U-locks, and plate locks with linked steel plates that can be folded, which are thicker than cable locks and more difficult to cut. Locks can be chosen by weight, reliability, durability, ease of use, price and so on. To the south you can see the sacred mountain Mt. Ishizuchi (Reikyō Ishizuchi-zan), and to the north, the Seto Inland Sea. 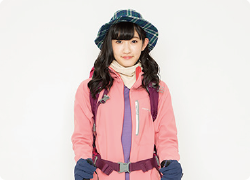 You can also reserve a mountain guide dressed as a Yamabushi (mountain ascetic). Dinner is based around wild vegetable and river fish dishes（amago (Oncorhynchus masou ishikawae)）, with hot pot in the winter. Wild boar hotpot is also available with a reservation. The Kokumin Shukusha Ishizuchi is located at an elevation of 1,500 meters, close to the starting point of the Ishizuchi Skyline and the starting point of the Tsuchigoya route for Mt. 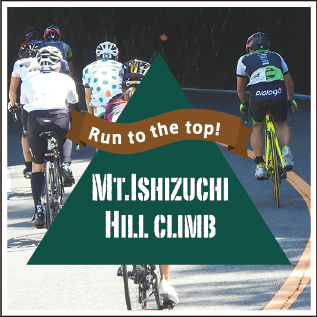 Ishizuchi climbing. It’s always busy during the mountaineering season and the “O-yamabiraki” or “mountain opening” festivities. Boxed lunches are offered for climbers and trekkers. 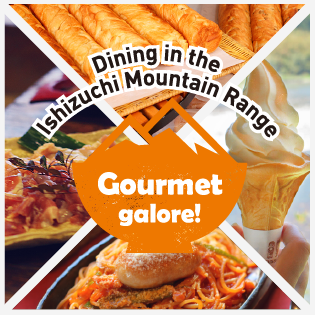 Be sure to try this inn with a view of western Japan’s highest peak. This abandoned elementary school was refurbished and opened to promote the mountainous area and engagement with urban residents. In addition to the training building in the refurbished school building, wooden cabins and a camping site, there are barbecue facilities, a brick oven made by the staff, and various rental items. You can enjoy outdoor activities safely in a wonderful natural environment. Although you don’t need a driving license to ride a bicycle, it’s classified as a light vehicle under the Road Traffic Laws, and as such you’re required to ride on the left side of the road. Basically, keep to the left side of the road, even on cycle paths. Strictly observe traffic lights, signs and markings, to cycle in safety and comfort. Riding in groups with friends is one of the joys of cycling, but in principle, cycling side-by-side is prohibited, unless signs specifically permit it. Also, when traveling in a line, it’s dangerous if the line is too long. Divide into groups of around five people, with a suitable gap between the lines. Distracted cycling—doing something else while cycling such as using a mobile phone, holding an umbrella, or gazing about—is very dangerous since it saps your attention and can lead to accidents. Riding a bicycle while listening to music with earphones is particularly dangerous because it makes it difficult to hear surrounding sounds, regardless of the volume. Bicycles go faster than you think. Be careful of excessive speed, because momentary carelessness can lead to a serious accident. Roads and even cycle paths are used by people other than cyclists. Cycle in a pedestrian-friendly manner. Just as with driving a car, always anticipate potential hazards, such as somebody running into the road, or something moving suddenly. It’s important to avoid accidents before they happen, and ride in such a way that you will not become a person involved in an accident. It’s dangerous to overtake somebody without saying anything and without slowing down. From about 15 to 20 meters behind, call out, “I’m going to pass on the right (left)”. Then slow down, and pass on the right (left). As you pass, don’t forget to say, “Thank you!” (arigatō gozaimasu). When you’re riding in front, it’s actually very hard to know what’s happening behind you. When cars come from behind, each person should call out “Car!” to the person in front up the line. It’s safer to use a hand sign at the same time as calling out. There are various hand signs for turning, stopping, moving to the right and left, slowing down, fallen objects and so on, so use them. As the popularity of cycling and the number of cyclists increases, nuisance parking is regarded as a problem. Don’t leave your bike for a long time without parking it in a place that won’t cause annoyance to passersby. Be careful not to damage other people’s bicycles, especially when parking in a crowded place. Since a bicycle is also a kind of vehicle, if you cycle drunk, you’ll be subject to a penalty of imprisonment of up to 5 years, or a fine of one million yen or more. It’s also forbidden to provide a bicycle to someone who is drunk or to offer alcoholic beverages to people who are liable to cycle when drunk. Trouble with people taking bike bags on public transport such as trains, boats, and airplane is increasing. Since a bicycle is a big piece of baggage, try not to get in the way of other passengers. Avoid traveling at crowded times, don’t block entrances and exits, and avoid knocking people and things when getting on and off.